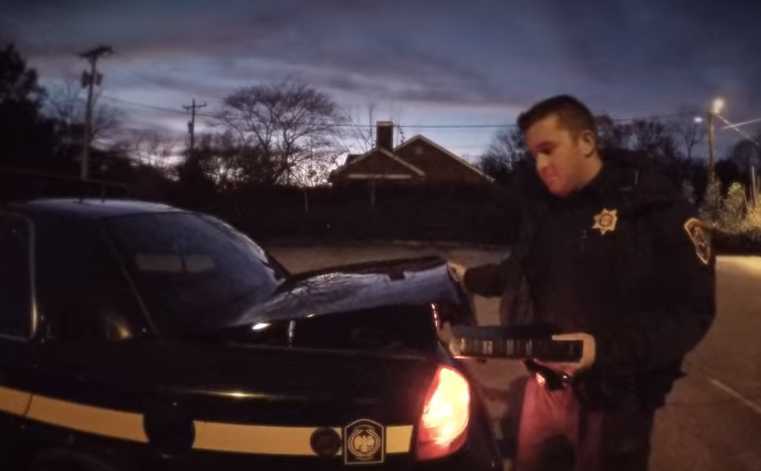 GREENVILLE, S.C. — A video released this week by a police department in South Carolina tells the story of a formerly drug addicted homeless man whose life was transformed after a police officer took the time to talk to him and gift a copy of the Bible—the officer’s own personal Bible. The video by the Greenville County Sheriff’s Office shares footage of a phone call from Robert Morris, whose life was touched in 2014 after Deputy Matt Holman found him walking the streets alone and soaking wet. “He was one of the nicest people I’ve ever met in my life,” Morris stated in a call to express gratitude. He explained that he had been living in a tent after becoming addicted to drugs and alcohol, and after he was flooded out, he began walking the streets. Deputy Matt Holman saw Morris out walking at 2 a.m. and stopped to talk. The two went to a nearby church, where Morris shared his life story. Morris said that his addiction harmed his relationship with his two remaining siblings. During the discussion, Holman asked Morris what his needs were. Holman stood for a moment contemplating what to do as all he could find in the trunk was his own personal Bible. But Holman ultimately decided to give Morris his Bible. “But I kind of felt like God was telling me, ‘He needs this more than you do,’” he recalled. The deputy also bought Morris a meal before going on his way. Six months later, Holman received a call from Morris, who wanted to say thank you and let him know how much his life had changed since that night. “He said, ‘Officer, you don’t understand. Because of what you’d done, I checked myself back into mental health, I was able to get regulated with my medication [and] I reconciled my relationship with my brother [and] my sister,” Holman remembered, adding that Morris was also no longer homeless. The video has received over 7,000 views since being posted on Tuesday.